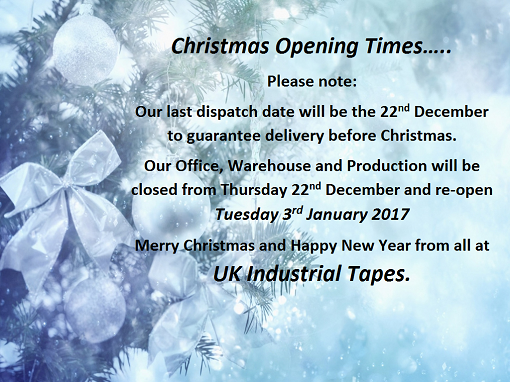 Please note our Christmas and New Year opening times for POS Tapes. We hope you have a wonderful Christmas and look forward to working with you in 2017. Our best-selling Double Sided Tissue Tapes are produced with a flexible non-woven tissue carrier coated with a range of different types of adhesives. They are specified for various time critical applications as they are hand tearable, taking away the need for scissors. Flushedge 1001 - For permanent indoor use only. This is an economy grade general purpose Flushedge Double Sided Tape with a very aggressive hot melt rubber adhesive system. It is hand tearable and has a thinner release liner that is why it is an economy grade product. Great for mounting paper, card, plastic and flexible films. Fingerlifted 1002 - For permanent indoor use only. A very aggressive Fingerlifted Tissue Tape with an ease of application. It has a hot melt rubber adhesive system and is hand tearable. Ideal to use for mounting paper, card, plastic and flexible films. Tissue Tape 7001 - For permanent indoor use only. With solvent acrylic and a temperature range of -30°C to +160°C, the 7001 is a very good general purpose all round Double Sided Tissue Tape. Bonds to paper, board, plastic and fabric and is hand tearable. Tissue Tape 7001 FL - Our 7001 has been manufactured specifically for difficult to adhere to surfaces such as plastic, laminated card and mount board. Great for sticking double or triple mounts. 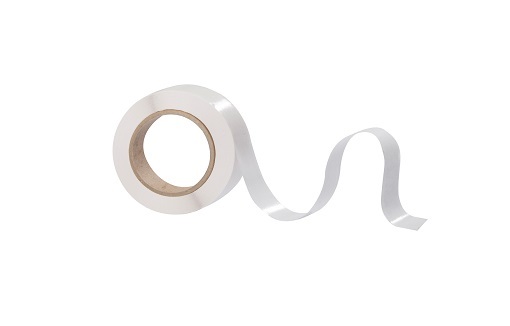 Our Fingerlifted 7001 Tape has the same super performance and an added fingerlift liner to help speed up production. Nitto 500 - For both indoor and outdoor use. With solvent acrylic and a temperature range of-30°C to +120°C, Nitto 500 Tape has tremendous initial adhesion to most substrates. Good plasticizer resistance. It bonds to metal, ceramic, glass, paper, board, plastic and fabric and is also hand tearable.